"HOORRRAAAYY, HE FINALLY SAID YES!!!!!" Liv Laughing: "He keeps tickling my ears, how can I kiss him so seriously and passionately?" 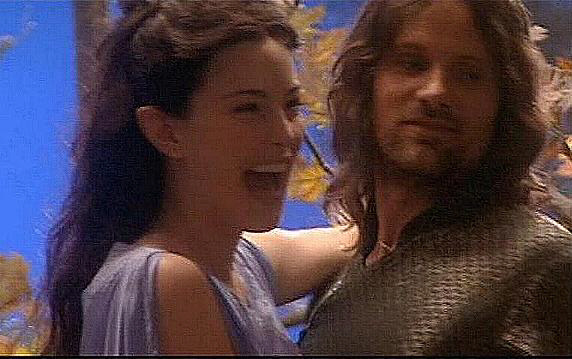 Viggo Smiling: "I can't resist touching them!" stand-in as Viggo's double (hence Viggo's not so amused countenance].